A few weeks ago, I had the opportunity to travel to Singapore to participate in conference dedicated to a topic I can't claim to be anything like fully informed about, much less an expert in: "Chinese Philosophy in a Multicultural World." Why was I there, then? 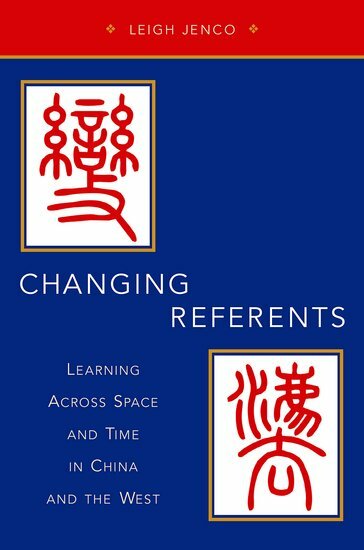 Because of a marvelous and challenging book published by a scholar and friend, Leigh Jenco, Changing Referents: Learning Across Space and Time in China and the West. I and a couple of other folks interested in the question of how one actually does comparative or cross-cultural philosophy or political thought have been trying to put together a panel discussion on her book for more than a year; after many ups and downs, a panel finally came together the morning of July 7, with: (from left to right) Ranjoo Herr, a Korean feminist scholar who teaches in the U.S., me, the guy from Kansas, Goh Beng Lan, a Malaysian anthropologist who teaches there in Singapore, and Carl K.Y. Shaw, a Taiwanese political scientist, all providing comments on the book. Leigh herself, who is currently at the London School of Economics, had to Skype in at 2am, her time, to give her responses. Our many different disciplinary takes on Leigh's books turned out to be extremely fruitful, to say nothing of the fact that it was, bar none, the single most multicultural academic forum I'd ever been a part of, and a bit of a small miracle it came together as well as it did. A few people have since asked me what was worth flying halfway around the globe to talk about, and it's a little hard to explain. Leigh's book, besides being (for me, anyway) a wonderful, eye-opening introduction to and theoretical argument built upon a too-little studied period of Chinese intellectual history--specifically, the revolutionary late Qing and early Republic era of the 1860s through the 1920s--is also a methodological broadside, taking a strong stand against the dominant hermeneutic and dialogic approaches to thinking through encounters between distinct cultures in the English-speaking Western academy, and insisting that a distinct philosophical alternative is available--all of which requires an understanding of debates within the sub-discipline of comparative political theory to fully follow. Speaking as one who has kept up with those debates, I have to say that whether Leigh really does outline such an alternative is an open question; at least three of the four commenters (myself, Ranjoo, and Carl) thought her understanding of what does--and doesn't--happen in a hermeneutical encounter is flawed. But my assessment doesn't mean that there weren't many ways her book called me up short, and made me re-think. So, for whomever is interested, here is a slightly modified version of the comments I prepared for the panel in Singapore. Enjoy! Leigh Jenco is a brilliant and, sometimes, infuriating scholar. For over ten years, her work--including her first book, Making the Political, and numerous academic articles and reviews along the way--has challenged the still-young subfield of comparative political theory, particularly that variant which looks to Chinese and Confucian philosophical traditions, with a single question, articulated in multiple ways but always making the same point: why do the comparisons which cross-cultural studies make always seem to result in theoretical conclusions that may be (to quote from a 2007 review essay of hers) “usefully employed not by ‘us,’ but only by ‘them’”? In other words, aren’t Western students of East Asian philosophy and comparative political thought implicitly setting the terms of debate, introducing questions and categories which Chinese thinkers complement, but never supplant, implicitly reducing the thinking of hundreds of people over thousands of years to a secondary role, one that allows Westerners to bring themselves into Chinese struggles over various philosophical quandaries, but never actually be confronted by what was learned from those struggles themselves? Elaborating upon this charge has led Leigh to write a great deal about, and sometimes dispute a great deal about, the methodological and analytical norms that have emerged over the past 20 years in comparative political theory. In my view, Changing Referents is Jenco’s strongest and fullest elaboration of her challenge yet, and as such is a kind of culmination of more than a decade’s worth of argument. It has been sometimes a contentious argument, because it is certainly not the case that the early advocates of comparative philosophy and the incorporation of non-Western thinkers into debates about political theory (and here I am thinking of individuals like Raimon Pannikar, Roxanne Euben, Hwa Yol Jung, Fred Dallmayr, Anthony Parel, and many others) were unaware of the exclusionary possibilities of their undertaking. On the contrary, the impetus behind comparative political theory has been, from its formal beginnings in the early 1990s until today, to challenge the implicit (and sometimes explicit!) colonialism, the condescending exclusion, which characterized so much of the Western academy throughout the majority of its existence. Comparative political thought, when done well, has always carried with it a deep awareness of the basic philosophical and ethical problems which a too easy universalism invites. Thus has it become normative for Western students of non-Western bodies of thought to incorporate into their approach a self-reflexive, dialogic, interrogative humility. As a result, as Jenco nicely puts it on the first page of Changing Referents, “our existing forms of knowledge are not transformed by this encounter with otherness so much as their limitations and possibilities are considered in a more self-reflexive light” (1). While not attacking humility, Leigh wants something more: she wants, I believe, to insist upon the possibility of the kind of direct encounters with a distinct philosophical perspective and a distinct linguistic world which alone would make, in her view, real transformative learning possible. Jenco uses the term “culturalist” to describe her position, contrasting it to both the ethnocentric universalism of the bad old days, and what she calls the “particularist” account of various thinkers, all of whom, in her view, “affirm the inevitable embeddedness of our knowledge in cultural or historical background conditions over which we have little immediate control” (8). This is an interesting usage on her part, and one that points directly towards what I believe to be an important way of assessing Leigh’s methodological challenge. “Culturalism” was the term that Canadian theorist Will Kymlicka used--during an early iteration of the endless theoretical debate over community, identity, culture, and authenticity–-to distinguish his position from that of nationalists and, implicitly, what he saw as the assumptions of communitarian thinkers in general. For the culturalist, as Kymlicka presented it, “membership [in distinct historical, religious, ethnic, linguistic, or culture groups]...must not be imposed by the state, but rather be [must be recognized as] a matter of self-identity....[C]ulturalists support politics which make it possible for members of ethnic and national groups to express and promote their culture and identity, but reject any policies which impose a duty on people to do so.” (See Kymlicka, Politics in the Vernacular: Nationalism, Multiculturalism, and Citizenship [OUP, 2001], 42.) 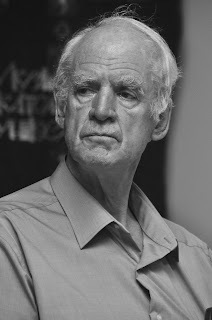 He believed that in making this argument he was distinguishing himself from thinkers like Charles Taylor and others who, in his view, treated linguistic and cultural communities as having their own non-subjective (or at least not entirely subjective) continuity, and thus were conceived as something insufficiently subject to individual choice. This point is worth dwelling upon, because it is one Leigh is fully aware of. In her view, though, “the differences between Kymlicka and the communitarians...are not as consequential as they appear.” In her reading, they are all one or another variety of “particularist,” in that they accept that there are particular “‘societal cultures’...determined by claims about history: presumably self-evident past sociological associations among groups of people are treated not only as constitutive of their given self-identity but as so important and (in the short term) inescapable that they define boundaries between their way of life and that of others” (41-42). The kind of comparative theorizing which cross-cultural encounters allow under this framework, then, whether nominally liberal or otherwise, can only be Gadamerian in character, referring here to the writings of Hans-Georg Gadamer on the constitutive functions of language and culture. The upshot for Leigh is that particularists presumably accept that the problem of cultural incommensurability can only be elided through a dialogic evolution, through the emergence of a "third space" wherein, via long and evolutionary and often quotidian encounters with the cultural and linguistic other, a fusion of horizons becomes possible, the context of which allows for a reflexive, collective rethinking on the part of all involved. Although intended to do justice to the particularity of diverse cultures, this (what I call) “particularist” account elides the extent to which many cultural practices, particularly those associated with knowledge-production, are not automatically historically and sociologically imparted, but rather are deliberately acquired by individuals and groups over time. As such this account provides no method by which other ways of thinking or organizing knowledge might become ours, in the sense of not simply enhancing our self-reflexivity but also of displacing existing modes of inquiry across communities and over generations (9, emphasis added). Particularist arguments...are often advanced out of humility and respect for the unfamiliar. But they also entail ironically constrictive and underwhelming consequences for engagement with knowledge outside of the contexts in which one finds oneself. In drawing attention to the varied ways in which cultural and historical contexts influence what we take to be knowledge and how we produce it, cross-cultural engagement becomes constructed not in terms of political or social, but epistemological strategies....This emphasis is often applied self-reflexively, to draw attention to the variegation and partiality even of knowledge taken to be “our own” as well as to query the assumption of radical epistemological distance between “them” and “us.” Despite such affirmations, however, particularists inadvertently...draw a line between knowledge that “we” produce as theorists, and knowledge “they” furnish as objects of inquiry....This self-positioning effectively (if not intentionally) rigidifies the relationship of individuals to the particular contexts believed to structure their pursuit of knowledge (44-45, emphasis added). There are, I think, multiple ways to engage with, and criticize, Leigh’s description of the hermeneutic approach here. Her notion that the interpretation of texts or ideas or practices which is the fruit of a dialogic fusion of conceptual horizons must involve no alteration or personalization of the concepts in question, but rather assumes such concepts to be historically or sociologically “intractable” (31), is, I think, one that seriously misunderstands what people working in philosophical hermeneutics assume dialogue actually consists of. One can accept the existence of limitations in one’s received horizons of understanding without thinking that, therefore, all received horizons are equally and in every way static and unshakable. They are, after all, constructed over time through the same participatory linguistic and mutually reflexive processes which dialogic encounters themselves always involve. And the movement inherent to such processes, I think, necessarily means for a change of position: a seeing of the other from a different perspective or point of view, which often includes seeing the other in oneself. (Gadamer himself described the “highest and most elevated aim” of working through the hermeneutic circle as that of “shar[ing] the other’s alterity,” and being changed thereby. See Fred Dallmayr, “Hermeneutics and Cross-Cultural Encounters: Integral Pluralism in Action,” in Integral Pluralism: Beyond Culture Wars [The University Press of Kentucky, 2010], 115.) Hence, Jenco’s insistence, when drawing upon the example of May Fourth leaders and intellectuals who truly did find their horizons of understanding shaken to the core by various events, that “incommensurability may not necessarily be....paradigmatic for all instances of cross-cultural engagement,” and that it is in fact “a synchronic rather than a diachronic phenomenon,” proves, I believe, much less than she may think it does (17). New communities do form, and old communities do change, even as the pre-understandings which constitute their conceptual horizons differently endure and find themselves reworked in multiple ways. The hermeneutic circle may not be a self-constituted one, but that does not mean the selves who encounter one another through it are not capable of experiencing through it their own disparate constitutions. That being said, what stands out, on my reading at least, in Leigh’s discontent with both universalism and (her version of) particularism is the lurking sense that both fail to give full credit to the determined, self-motivated, intentional, border-crossing individual. And that is certainly true. There is an abiding communitarian sensibility behind any discussion of cultural authenticity and the need to recognize, in a sense, one's unavoidable submission to the historical and linguistic pre-understandings by which one approaches cultural discussions in the first place. You didn’t decide what you believe, this sensibility points out, and you didn’t determine the perspective by which you interrogate your own beliefs. The humble self-reflexivity which all this presumes connects very well, I think, with the tradition-, culture-, and community-sensitive side of phenomenological thinking. But it also probably does fail, at least a little bit, as an explanatory framework when one encounters the heroic individual thinkers that Leigh’s analysis depends upon. I choose that word purposefully: reading her wonderful book, and being introduced to the intellectual arguments of late 19th-century and early 20th-century reformers and radicals like Yan Fu, Liang Qichou, or Tan Sitong, provides strong evidence that conservative readings of the possibilities of knowledge within a framework of received constitutive understandings are arguably limited in their applicability when one looks at the actual record of this transformative, revolutionary historical moment, and the adventuresome individuals it includes. Leigh is respectful of Gadamer’s insights into “the prejudicial process of all knowledge-formation,” but it is very likely that China’s past simply didn't universally play a prejudicial role in the thinking of many Chinese activists and thinkers during the decades between the 1860s and the 1920s. As she observes, speaking specifically of the conversations in 19th and early 20th-century China over “Western Learning” (bianfa or xixue): “At no point did the ‘past,’ or even some self-conscious Chinese Confucian ‘tradition’ in [Alsadair] MacIntyre’s sense of the term, present itself as an obvious and clearly demarcated context for action or understanding” (134, 63). Leigh is, I think, obviously fascinated by the specifics of these debates, but also wants to strike a blow for the free individual against the tyranny of culture, language, and time. [C]ultural otherness may be better understood as one of the many kinds of otherness (such as the historical or idiosyncratic) that make learning of any type possible. It therefore may not require special techniques of assuagement, such as self-reflexive dialogue between presumably embedded interlocutors, but it may demand more of us in the way of self-transformative, disciplinary commitment to the standards and languages of a particular knowledge community--even as our own participation in that community shapes, in an ongoing and dialectical way, its distinctive features (23, emphasis added). Recognition of oneself as “Chinese” by others is authorized by one’s felicitous connection to particular pasts texts, practices, or events, even as those connections are necessarily reproduced and transformed as each new individual acquires them. New individuals join these communities of knowledge not automatically through birth but through gaining familiarity with their standards of intelligibility. Chinese culturalism can therefore be distinguished from universalist ideologies such as liberalism, in that the success of culturalism turns on acquired practices whose transmission and mobility are contingent and fragile--not secured in perpetuity through a priori assumptions about essential human attributes that are putatively universal (61, emphasis added). As one who has always been interested in and has occasionally published on topics relevant to the Confucian philosophical tradition, and yet cannot read or speak Chinese, and thus is entirely dependent upon translators, this is a discomfortingly powerful argument. Might it be that I, and multiple other students of cross-cultural scholarship, are accepting of the conceptual limitations presumed by the dialogic model simply because we have not been successful, or simply haven’t been willing, to buckle down and do the damn work of learning the language in question? Quite possibly! (This is essentially Bell's argument which I linked to above: "Chinese-ness" is most fundamentally, in his view, a linguistically communicated cultural sensibility--defined, one might say, to borrow from Leigh's own argument, by its own particular "standards of intelligibility"--so given that he is fluent in Mandarin Chinese and has lived in China and built a family in China over the past 20 years, why shouldn't he be considered Chinese?) Leigh herself points to claims made by Chen Yuan, a historian from the 1930s, who advanced the claim that “literary production by non-Han peoples under the Yuan dynasty...expanded and enriched [the cultural property of the Han] in ways irreducible to, but still recognizable within, [the] past forms that others affirmed as part of a literary tradition they shared with them.” The argument, in short, was that these “‘sinified’ Yuan poets of Mongol ethnicity advanced Chinese literature” in as direct a manner as could anyone who received that cultural property as a part of their linguistic and cultural patrimony (59-60). If the perspective of these thinkers is such that becoming “sinified” really can make one Chinese, perhaps it is arguable that the sense of collective humility and the dialogic respect for difference which characterizes much comparative political theory may be taking things unnecessarily far in the direction of incommunsurability. Tan insists that culture--constituted by complex and dynamic daos whose true scope is essentially unknowable to any one human--necessarily is grasped and embodied only in qi (material objects, institutions, texts, and so on). But [it does not follow]...to conclude that at best a “fusion of horizons” will be forged to create a kind of third cultural space or understanding....Rather, the very replicability of qi enables the portability of culture....The portability of meaning here wrestles directly with the difficulties of social and not just individual self-transformation....Although these transformation will likely be beset by issues of translation and commensurability best handled in a “conversational” or dialogic way, to leave the issue of borrowing there would be to ignore the very real need to frame (and borrow) cultural forms in a set of institutions that can support a broad range of personal interests, needs, talents, and certainly interpretations (137-138, emphasis added). Ultimately, then, Jenco is not wholly opposed to the humbling, collective character of the dialogic assessment of the cross-cultural project; she simply, on my reading, wants to insist that the writings of multiple scholars from these crucial decades in China’s history demonstrate that it is possible for understanding across otherness to be sometimes directly achievable in contexts where both personal engagement and an individual's disciplined mastery of the vessels of communication are present. Incommsurability, for Jenco, is therefore not an inevitable and necessarily negotiated consequence of cultural difference; while it sometimes may be, certain variables can make a major difference. And for Jenco, the key variable, I think, is often going to be the willingness and ability of the person encountering the other--whether Daniel Bell or Leigh herself--to make the vessel of understanding their own. All well and good, yes? Probably. And yet...there is still something which sits badly with me, with all Leigh's (usually implied, but nonetheless, on my reading, constantly present) talk of individuals taking ownership of knowledge, of making it their own. Once again, the communitarian arguments which haunt any close consideration of the cultural work accomplished by language--the primary vessel that Leigh's examination of these thinkers who achieved so much in terms of bianfa focuses upon--comes into play. Here, the names which most readily come to mind are the philosopher Charles Taylor and the early Romantic translator and critic whose ideas about the constitutive role a spoken language plays in community-formation which he relied heavily upon, Johann Gottfried Herder. Herder's insights here are crucial, in that he developed a philosophical anthropology which allowed numerous counter-Enlightenment thinkers who came after him--Humboldt, Hegel, Merleau-Ponty, Polanyi, Heidegger, and many others, whether they acknowledged or even recognized the influence of Herder or not--to talk normatively about the interdependence of our identity and the received cultural structures and traditions which surround us, and how the realization of meaning depends upon that interdependence. Taylor's elaboration upon these Herderian themes has been hugely influential in arguments over philosophical hermeneutics...but of course, to start talking about how our knowledge of the meaningfulness of one thing as opposed to some other "depends" upon something "received" takes us right back to the kind of anti-individual conservatism or hesitancy which I think Leigh's sees as a problem in the dialogic approach to comparative political theory and cross-cultural thinking in the first place...and thus it's not surprising that, while she never mentions Herder, Taylor makes frequent appearances in Changing Referents--nearly always negatively. Of particular concern to Leigh is an early essay of Taylor's, "Interpretation and the Sciences of Man," which argues, on Leigh's reading that knowledge has a "diffuse...social character," demanding a recognition of the particularity of each utterance, which in turn strengthens the assumption that, as Leigh puts it, "actos/interpreters in the present [necessarily produce knowledge in terms of] a certain degree of continuity with the past precedent of community of interpreters to which....they belong" (see 42-43, 122, 207). The idea that there are historical contexts which serve as "boundaries to the present scope and future malleability of culture" is one which Leigh, as should be clear by this point, strongly dissents from, insisting instead that, given that one can--assuming sufficient time and training and education--linguistically penetrate other culture contexts, why must there be any obviously boundary upon the audience most authentically served by the understandings which follow? The liberal accords a culture value as the only common resource of its kind available for the group in question. It is the only available medium for its members to become aware of their options. If these same individuals could dispose of another such medium, then the case for defending the culture would evaporate. For the people concerned, their way of life is a good worth preserving; indeed, it is something invaluable and irreplaceable, not just in the absence of an alternative, but even if alternatives are available....People who have lived in or near French Canada know the resonance of this goal of survivance. For the neutral liberal, the reasoning starts from the fact that certain already-existing people lack a crucial resource. For the community, the goal extend beyond serving the existing members to the continuance of the community through future generations. The goal that unborn people, say, my great-grandchildren, should speak Cree or French or Athbaskan, is not one that Kymlicka's liberalism can endorse...(Taylor, "Can Liberalism Be Communitarian?," Critical Review, Spring 1994, 259-260). So the boundaries in question, and hence the need to prioritize the humility of the self-reflexive, dialogic approach to making connections across diverse cultures, has a deeply ethical component: it is about respecting the integrity of the culture one is trying to learn from. I would never want to suggest that Leigh has anything but tremendous respect and ethical concern for the language and history and culture she has developed such a great mastery of. I can only say this: I see in Changing Referents a determination to show, through historical example as well as philosophical argument, that self-reflexivity and humility can be overdone in our thinking about comparative political theory; that there have been, and always will be, individuals who are not intellectually defined by their cultural inheritance and linguistic framework; and that as such the conservatism of dominant, dialogically-constructed comparative philosophical enterprise should be rethought. This is, I think, not wholly wrong...but it does fail to recognize the real, ethically and conceptually complicated target of the hermeneutic approach to cross cultural and linguistic boundaries. And it also fails to appreciate that Romantic and hermeneutic thinkers over the centuries have never fully sublimated the idea of individuality to one's received tradition. Consider the words Goethe put into the mouth of Dr. Faustus: “What from your fathers you received as heir, / Acquire [anew] if you would possess it. / What is not used is but a load to bear; / But if today creates it, we can use and bless it.” There always is, and always will be I think, a space for individual action and interpretation in any cross-cultural encounter, there is no need to insist that language really is "merely" a vessel capable of being mastered, and there is no need to dialogic approaches to knowledge-production as limiting willful action of those capable of crossing cultural divides. In any case, this philosophical back-and-forth is hardly going to come to an end with this blog post, or with her book. Whatever else I think, I will remain troubled by the possibility Leigh's argument just might be right: that maybe Western comparative political theory, particularly in regards to learning from Chinese sources, really may have taken so seriously the reflexive, mutually inward, mutually cultivating, communitarian attitude which has been ascribed to Confucian thought that it has ended up working against recognizing the individual voices behind these sources...and thus also implicitly excused engaged individuals from mastering those voices so as to be able to fully learn from them. Leigh’s book invites us to not only rethink these Chinese thinkers and how we understand them, but also how we understand the relationship between culture and individuality itself. Leigh has opened up a large field of (again, rather challenging) study here, and for that I, at least, am grateful. 30 on the 30th: In the Dark and "My Brother Esau"
Continuing my year-long (or nearly so) journey through albums from 1987 that I still listen to and enjoy today, following The Joshua Tree, Sign o' the Times, Solitude Standing, and Running in the Family: before July finishes up, let's salute the Grateful Dead's unexpected pop gem, In the Dark. I'm cheating a little with this one, as I did with Level 42's small masterpiece last month--while I was familiar with their (first ever!) 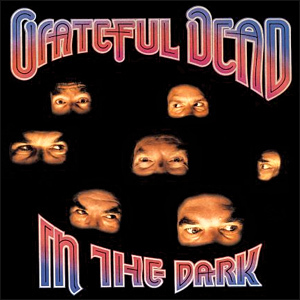 pop radio hit, "Touch of Grey," I wasn't by any stretch a Dead-head when this album hit during my senior year. And I never really became one, even after--once again!--someone I knew on my mission to South Korea a year or two later, a cool guy who had brought his guitar with him and would spend evenings playing James Taylor, Rolling Stones, and Grateful Dead tunes to a lot of us in the apartment, got me thinking about who these odd folk-rocking guys were. But he did at least convince me to give them a try, and first chance I got after returning to the U.S., I picked up a couple of Dead cassette tapes: the compilation album Skeletons from the Closet and this one. And fell in love. I wasn't alone; there was a small, dedicated group of Dead-lovers at BYU back in the early 1990s, and anytime anyone in Provo, UT, aspiring to pretend that the city was a "real" college town like we imagined, scheduled some live music on campus or off, and an acoustic guitar was involved, you could be sure that "Friend of the Devil" or "Uncle John's Band" would make an appearance. Some of these folks were more devoted than me; they made the road-trips to Las Vegas or San Francisco, and became fully initiated into the Grateful Dead's happy cult. But I just listened--so much that my original cassette eventually died. Which was a terrible loss, because one of my favorite Dead songs, "My Brother Esau," was for some reason left off the CD version of the album. It's such a strange, wonderful, peppy, Old-Testament rock-and-roll tune, with Bob Weir's refrain "shadow-boxing the Apocalypse / wandering the land" haunting the whole number. Watch this live video, and you get the whole range of mid-late-stage Dead: Weir in his short shorts, the Mick Jagger-esque frontman (even though he doesn't dance); Jerry Garcia, wearing his sweats and flannel shirt, looking at his friend and the world in general with curiosity and bemusement; Brent Mydland hyped up, jamming out on the keyboards; Phil Lesh, playing his bass from some other planet entirely. That's all you need to know, right there. I don't know why this makes me so angry, but it does. Maybe anger's not the right word; I'm not angry, I don't think. (I rarely get angry; not in my make-up, I suppose.) But I am annoyed, chagrined, bothered, upset, pissed off. And I suppose I know why too, though it's not easy to pull it all together. My contempt for President Trump is out in the open, for anyone who cares to look or ask. But as a scholar of politics, and as someone who is ideologically disposed to look at socio-economic trends, institutional forces, structural incentives, and so forth, the way I look at the man and his presidency mostly stays in the realm of ideas and implications. Yes, I'm a social media addict who snarks within my own self-created informational bubble, like almost everyone else: guilty! But by and large, I really don't think my attacks on the Trump administration have been personal, and I think it's important--and have said so, often, even if I have not always resisted the temptation--to focus on the policy shifts, the party developments, the bureaucratic staffing (or lack thereof), the norm-bending, the rule-ignoring, and the legislative maneuvering taking place in Washington DC, rather than on the words that come out of this clown's mouth. He'd lost his momentum, meaning he took this period of time off, long, years, and then when he got back, he didn't have that same momentum. In life, I always tell this to people, you have to know whether or not you continue to have the momentum. And if you don't have it, that's OK. Because you're going to go on, and you're going to learn and you're going to do things that are great. But you have to know about the word "momentum." But the big thing, never quit, never give up; do something you love....[O]f course I love my business, but this is a little bit different. Who thought this was going to happen? We're, you know, having a good time. We're doing a good job. You and I and everyone reading this has heard dozens of speeches worse than this--so what's the big deal? A stupid, rambling story about "momentum" and "never giving up"; what's the harm in that? The harm is that this was just a small slice of a huge, even more rambling speech that attacked (sometimes humorously, sometimes implicitly, but sometimes neither) former President Obama, Trump's 2016 opponent Hillary Clinton, the news media, and members of his own administration, and continually, continually, praised himself and his electoral win last November. The harm is that for more than 30 minutes a bunch of Boy Scouts were subject to the sleazy, stupid, self-aggrandizing ramblings of an over-his-head politician, and not to a speech that was remotely presidential. And there's the rub: the Boy Scouts themselves, and the idea of, let's call it "presidentiality." We're all too cynical, too realistic, too grown-up, too mature, too liberal and open-minded and sophisticated for us such things, right? In our meta-meta-media environment, every sociological assessment of the Boy Scouts of America, and every nuanced criticism of presidential power, becomes part of prefabricated partisan narratives. "Big deal! You anti-Trump people are the ones who always hated Scouting anyway! And who cares if President Trump just gave a big lazy political speech? Everything's political anyway, right, isn't that you've always said? USA! USA!" 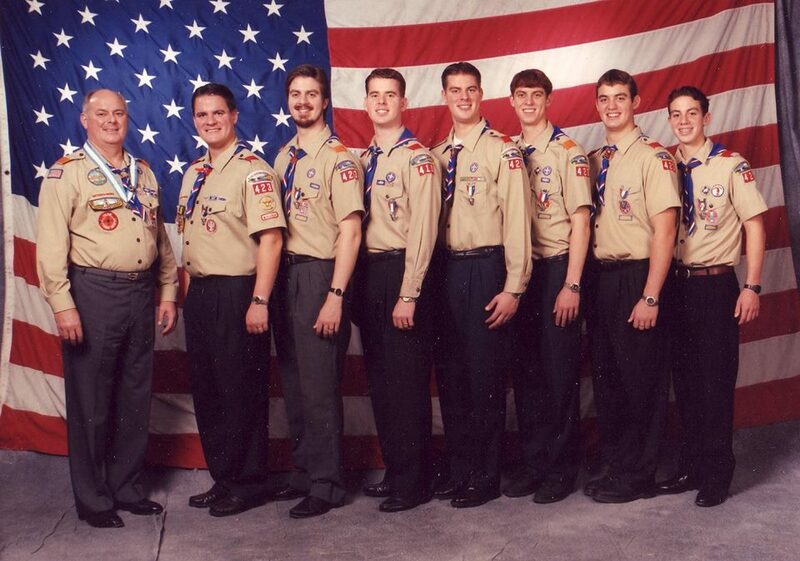 I am not a professional Scouter, but I am a lifelong member of the Boy Scouts of America. That's the way it was--the way it had to be--in the family I grew up in, with the father I had. 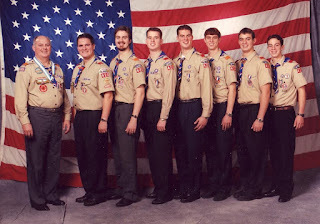 Jim Fox believed in Scouting, and he made it clear that he expected all seven of his sons to earn their Eagle Scout rank--which we all did. Is there something unseemly, something anti-intellectual, something illiberal in a family or a church or really any unit of people committing themselves so thoroughly to an organization which holds to such traditionalist, patriotic ideas? Yes to the last of those challenges; it would be silly to pretend that any movement that organizes boys and young men into troops, gives them uniforms, and instructs them in moral codes would be anything except, to one degree or another (your mileage will vary depending on your local leaders) anti-individualistic. But I reject the first two. Scouting absolutely isn't for everyone, and I'm happy to see my own church retreating from its too-long and too-total embrace of Boy Scouting as its youth program. (As a father of nothing but daughters, our children's experiences have all been with the Girls Scouts in non-church contexts--and for those of our girls whom Scouting has fit with their personality, their experiences have been very good.) But the civic principle behind Scouting--the idea of teaching young people principles as a part of a necessary project of cultural-formation, a project that will always include a mix of inspirational ideals--is not in any way, I think, hostile to the intellectual life or modern pluralism. Like it or not, free societies will inevitably generate civil religions; that's part of the way the great majority of human beings articulate their longings for community and meaning. I respect and support Scouting in the United States as a component of that--and am deeply disappointed and frustrated when a person who inexplicably ended up in one of the most prominent positions within that civic structure treats it as an occasion for cheap politicking and sleazy self-promotion. Is all this about my Dad? Maybe. He wasn't a professional Scouter either, but he might as well have been; he gave huge amounts of his time to the organization, organizing and earning and leading and teaching in it, at all levels. 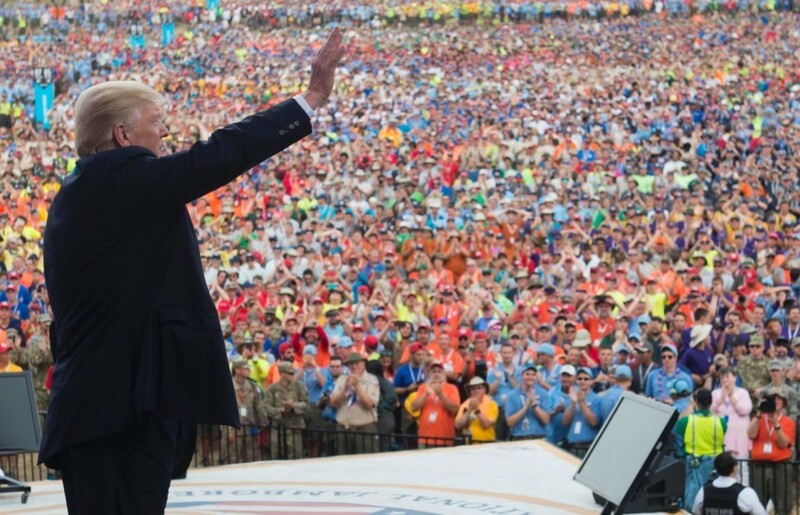 He had the opportunity on a couple of occasions over the years to speak to thousands of Boy Scouts, assembled together--and when he did, he didn't let his conservative politics or, worse, his own self-estimation show. He used Scouting, for all its flaws and limitations (and he admittedly didn't recognize many of those which seem obvious to me today), to teach and inspire and encourage and share. He wasn't the POTUS, but he knew how to show reverence (the last, admittedly least practiced, but also possibly most important, component of the Scout Law) for those times and traditions when respect and encouragement and non-divisive fun is called for. Donald Trump knows none of those things. But why would he? He wasn't a Scout--to which I can only say, thank goodness. The organization has enough problems as it is.